CitraMount™ Medium | Polysciences, Inc. 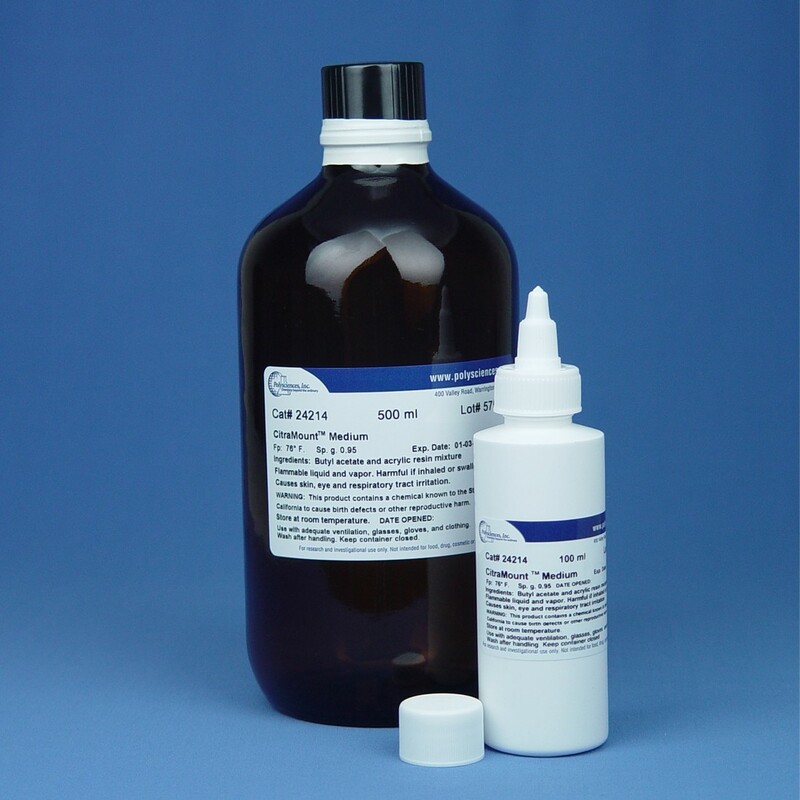 This butyl acetate and acrylic mixture is the first mounting medium developed that allows coverslipping directly from d-limonene based clearants. Superior results are also obtained with xylene. Recommended for manual coverslipping only as it may cause damage to the valves of automated coverslippers. Get a clear seal and decrease your drying time to less than 24 hours.